Immaculate in every respect and the location was perfect, especially considering the relatively low cost! Nice central location with comfortable accomodation and well equipped kitchen. Cute balcony. This is a very homey apartement, fully equipped with everything one might need, and it's not only very functional but also quite beautiful. We had a perfect check-in with the very nice host and got some information about the most important sights of the city. We felt very welcome. 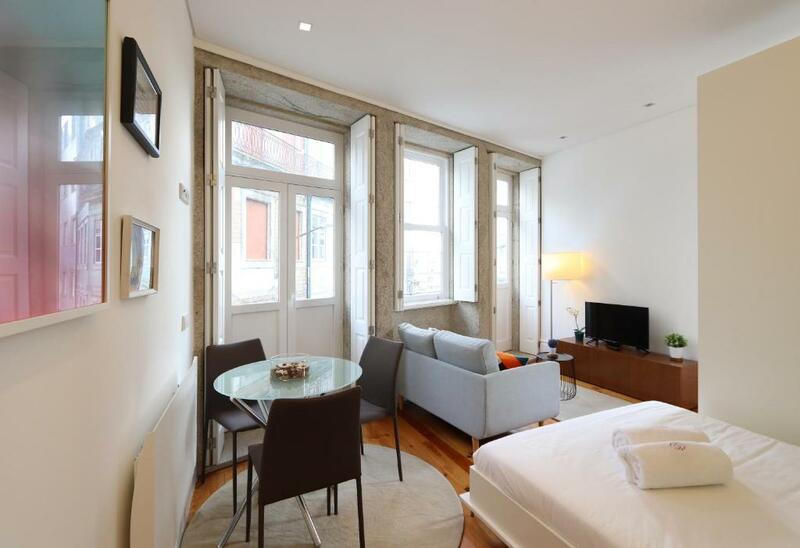 very close to Sao Bento station, around 3 min by walk. Porto is a small city, it is truly worthy to visit every street on your foot and this place gives you the chance. 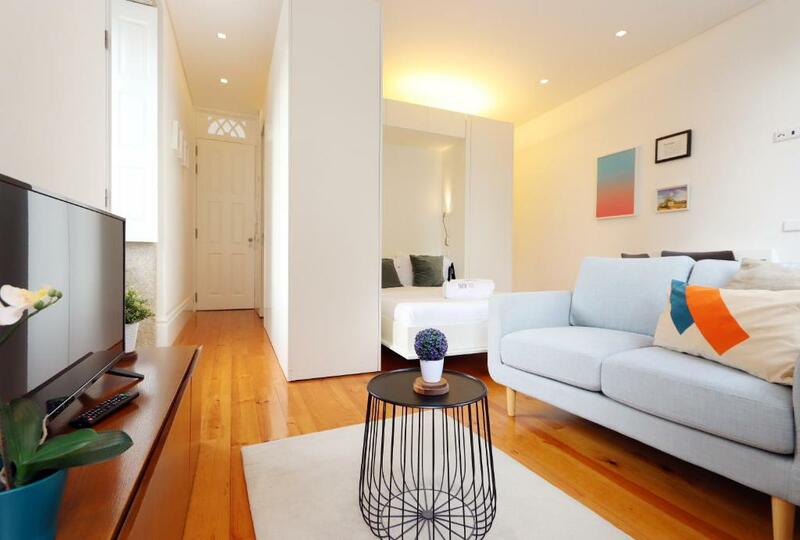 Good location near Trindade station and short walk to main sights. Very well presented apartment - modern, quiet, clean, comfortable. Compact but has everything you need. Excellent host in Nathan who met us and was very helpful with advice as to what to see and do in Porto. We enjoyed staying there. 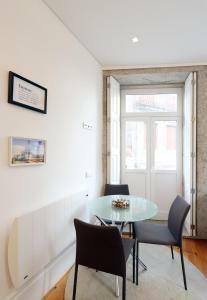 Very central, walking distance from most popular places in Porto. Lots of good restaurants & patisseries close by. Sergio, the Host is such an interesting, passionate & welcoming guy. Gave us so many local tips for traveling around and also explained the history of Porto and about the lovely Porto people. That helps you relate more as a tourist in a new city. Loved the apartment. Had everything one would need. Great location in the city center. In walking distance to São Bento railway station and most of the sightseeings. Fully-equipped kitchenette, comfy bed. Big supermarket in 5 minute of walking. 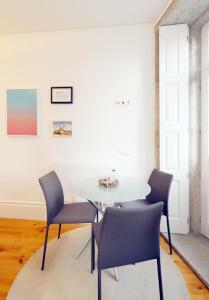 Reasonable location at the top of an inconspicuous street about 5 minutes' walk from Trindade metro station. 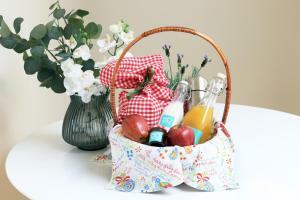 Accommodation has been furnished to a high standard generally. Very appreciative of the host's efforts to meet me at the apartment (to give me the keys) much later than my anticipated time of arrival due to a delay. Also appreciative of the detailed information the host provided regarding places of interest, bars and restaurants etc. The apartment is beautiful and very clean, in a central location. The guy that welcomed us was super nice and helpful. Thank you! 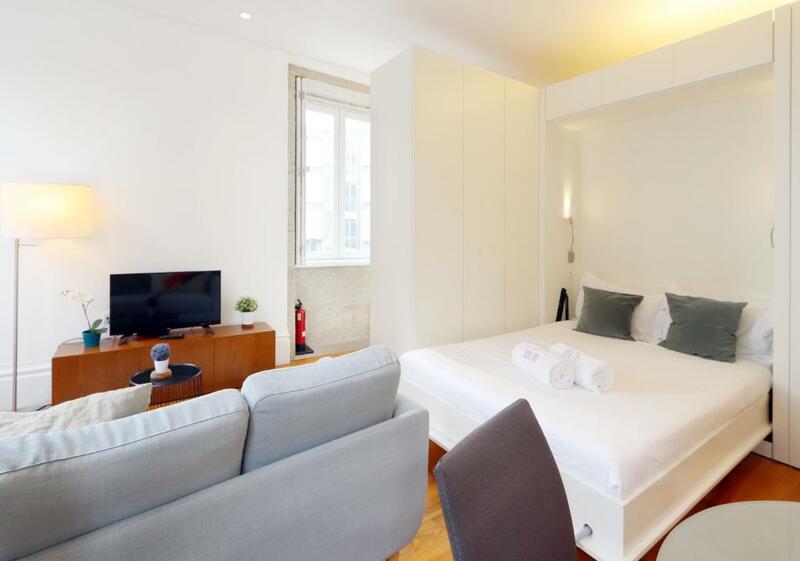 Lock in a great price for HM - Bonjardim Studio Downtown – rated 9.1 by recent guests! Featuring city views, HM - Bonjardim Studio Downtown is located around a 4-minute walk from City Market Bolhao. This property is 0.6 miles from Oporto Coliseum and features free WiFi. This apartment comes with a kitchen, a seating area, a dining area and a cable flat-screen TV. The bathroom comes with a shower. Popular points of interest near HM - Bonjardim Studio Downtown include Ferreira Borges Market, Lello Bookshop and Ribeira Square. The nearest airport is Francisco Sá Carneiro Airport, 10 miles from the property. 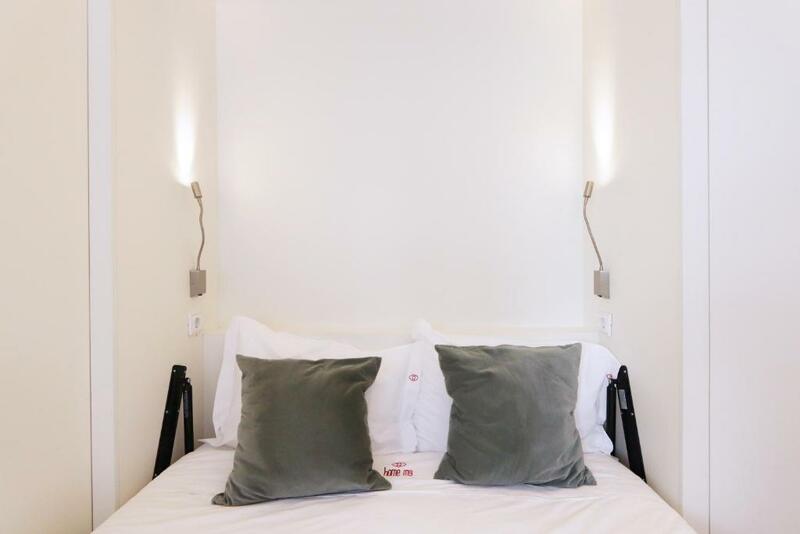 When would you like to stay at HM - Bonjardim Studio Downtown? Cozy and central space, which allows you to enjoy plenty of good walks downtown and the beautiful historical area of the city. Next to the apartment there are interesting and important sights such as the Bolhão Market, the Rivoli theater just below, Porto City Hall (you can view it through the window). Avenida dos Aliados is just a few steps away from the apartment. This apartment is located in Porto downtown, close to Avenida dos Aliados and Trindade subway station. House Rules HM - Bonjardim Studio Downtown takes special requests – add in the next step! Right in front of the apartement there is a large construction site which is very loud. In general it is not the most quiet place although it is situated on a small street. Due to the good, central location, one should be able to overlook this. An extra towel or two would have been welcomed, but I'm nitpicking here. There is no elevator so if you carry a heavy luggage to 5th floor, be well prepared. But it is really not a problem for us considering the price, location and the studio itself. Nothing really - maybe just the fact that you could hear people moving around in the flat above. Due to nearby construction, could get loud early in the morning. But we still liked to keep the windows open for fresh air & beautiful street view. Construction next door starts at 7.30/8am each day. Would have been nice to have been told about that A washing machine would make the apartment perfect! Bathroom and fridge could have been cleaned to a higher standard. The pillar tap to the wash hand basin was loose. Although the kitchen was well-equipped generally, it would have been helpful to have had a kettle. Every thing was great and we had a good time. Bit noisy at night but not something that bothered our sleep. A thing I would improve - coffee or at least a teapot to make coffee. But anyway there's a great local (super cheap) coffee right around the corner. Guy that let us in was very helpful. Apartment was well equipped and very clean. I missed having more toiletries for two people. But not a big deal. Check in was easy and Sergio is super friendly! He gave us lots of information about the city, where to go for eat and drink, best attractions... 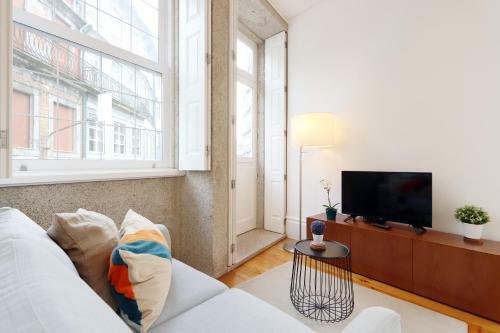 Location was perfect, one minute walking from Trindade station (direct link to the airport), and close to the main highlights of the city. I would definitely stay here again. Appartement is nicely furnished. Kitchen with a lot of equipment. Short way to trindade metro station and historical center. Very friendly owner who told us sll about his favorite spots. Absolutely nothing! This apartment was great! Cannot recommend this place enough!! We had a great stay at Bonjardim Apartments. Netto was great! All communication with Netto was very easy, he allowed us to store our luggage before check-in and went through the area and recommended places to go during our stay when we checked-in. The apartment was amazing! Comfortable, clean, new and quite spacious for a studio. The kitchen had all the utensils we needed. 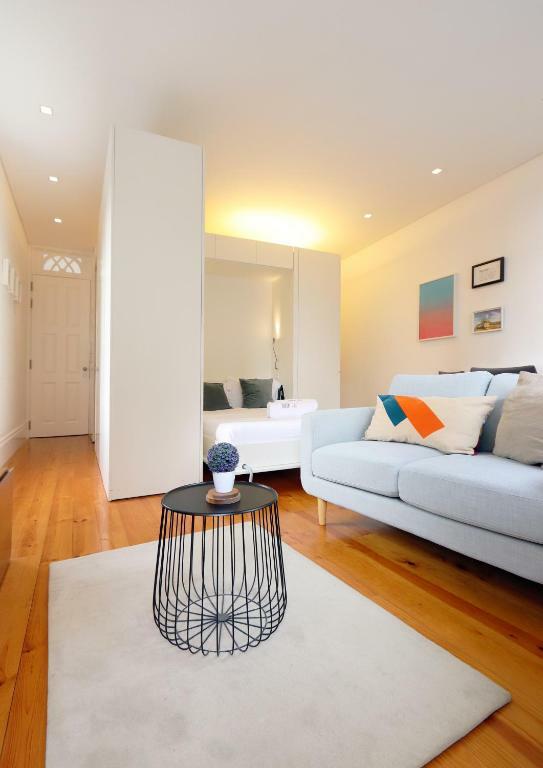 The location was perfect, walking distance to everything and just a block from the centre of town. No problems with the WiFi. I will recommend family and friends to stay here and would definitely stay again myself! !